EHR structured data begins to make a play for importance as health IT moves into Stage 2 and we begin to require useful and useable information. It’s not a new topic, but one, much like ICD-10 I suppose, that has had many a practice leader hoping to push off until later. Unfortunately for many, the days of structured data are upon us. Hoping that the data you dumped into your system when you implemented won’t be a problem for you in the future may now begin to start causing you some nightmares. For many practices, as they begin to look at their data and hope to find a treasure trove included, they may be surprised to find much of the information worthless, as least when trying to compare to health information as a whole. Why? 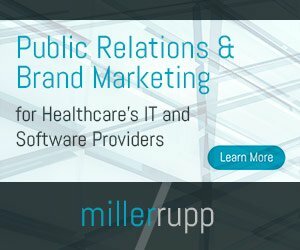 Well, according to Computerworld, there’s just not enough EHR structured data. For example, pieces of data like problem lists, medications and allergies are inconsistent between the varying EHRs and the codes are often different between the different products. Perhaps most importantly, though, is during the initial set up of the EHR. Practices looking to get their systems up and running, they often simply dump data in and move on to the next step of the training process. This, according to Computerworld, means a lack of protocols, standards or proper charting of the data. As we’re now finally beginning to see is that the data that goes into the EHR must come out in a standardized and useful way so that it can be reported through meaningful use and exchanged through HIEs and electronic health records. Again, the lack of proper protocols and creating a culture of success can sink a practice in the long term. Simply dumping the data and letting providers practice as they see fit is a lot like public companies with their eyes on short term, end of the quarter returns rather than trying to build a successful foundation to create a stronger organization even if it means a slower, more steady return on their investment. In fact, a case might be made that suggests that the loss of productivity physicians face when first learning their EHRs could be related to their use of structured data. Creating a process for them to follow from the beginning will pay huge dividends in the long run. In the near term, though, there will be a minor fall off in productivity. Prepare your technology solutions for extraction, and utilizing, structured data. An EHR along may not be the only solution you need to get the data you need. Plan ahead and remember that one size fits all rarely does. Follow these, and perhaps few of your own, and the value of your data will be worth a whole lot more for your organization in the long term than any unstructured attempt you make.